SEATTLE — SMART Transportation Division President John Previsich announced July 4, on the final day of the TD Regional Meeting in Seattle, the location of the 2019 regional meeting. 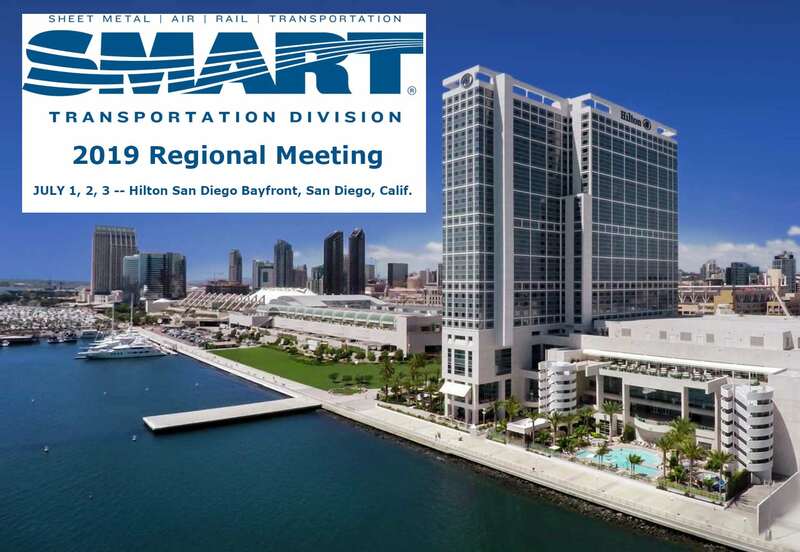 The Hilton San Diego Bayfront in San Diego, host to the 2014 SMART TD convention, will host SMART TD’s regional meeting from July 1 – 3, 2019. The meeting in San Diego will be the lone regional meeting next year because it is a convention year.